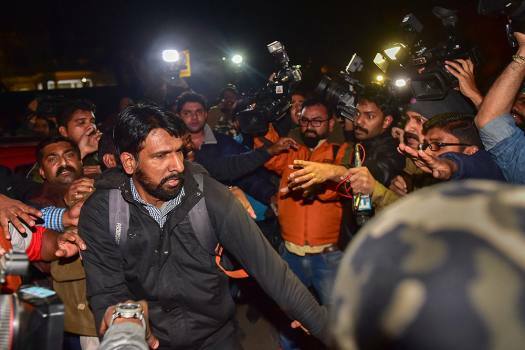 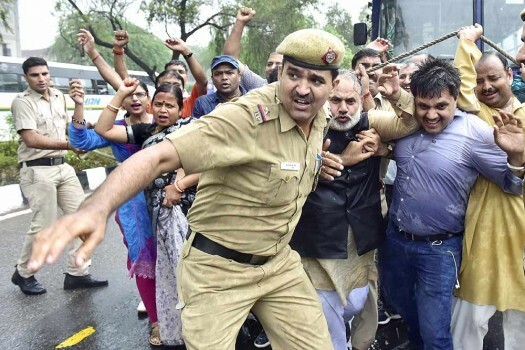 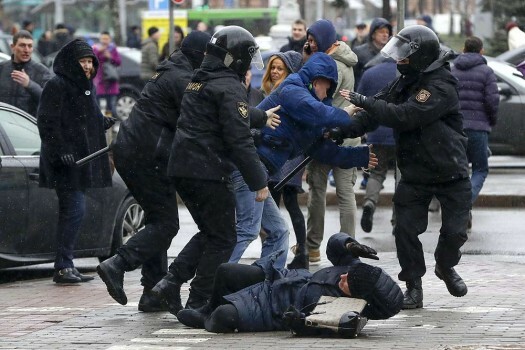 A members of Ayyappa Dharma Samrakshana Samithi (Delhi and NCR) during a scuffle with police at a protest over the Sabarimala issue, at Kerala House, in New Delhi. 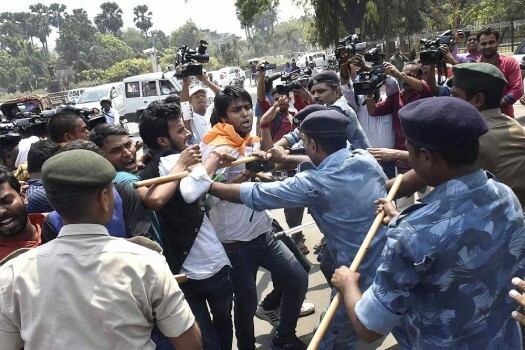 BJP activists try to break the police cordon and march forward during their law violation rally to protest against State government, in Kolkata. 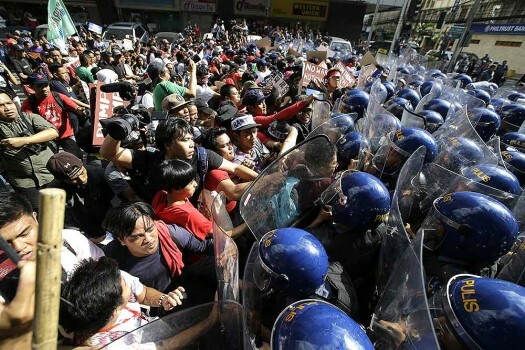 Protesters scuffle with police as they are dispersed while trying to get near the U.S. Embassy in Manila, Philippines. 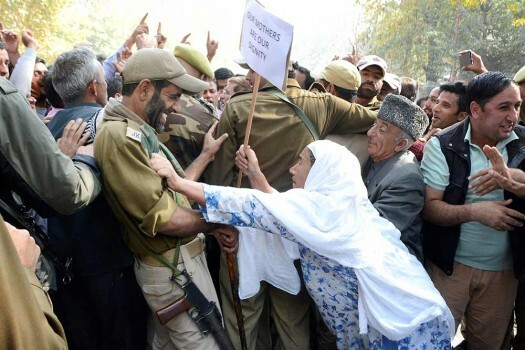 National Conference Woman workers scuffle with police during their protest rally against the growing incidents of braid chopping in valley, in Srinagar. 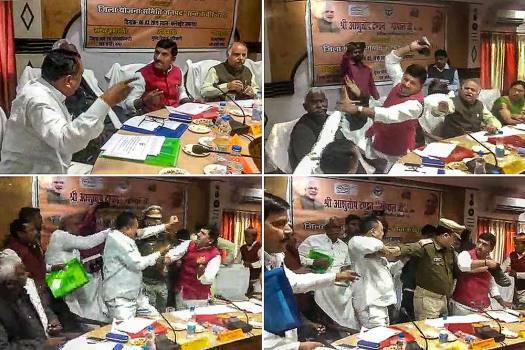 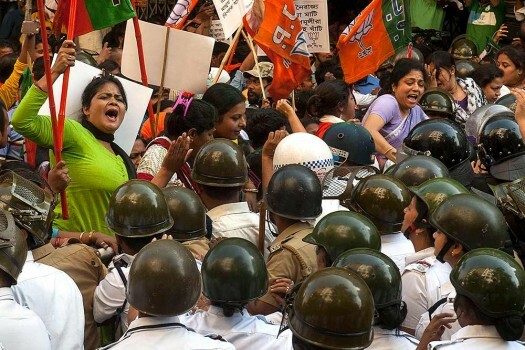 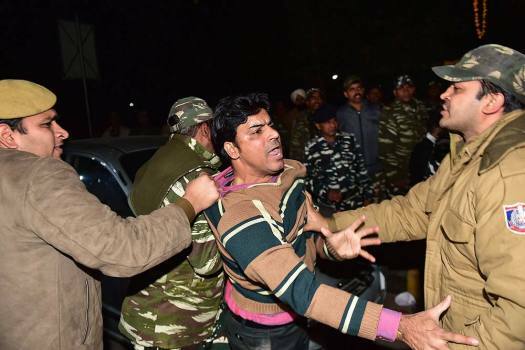 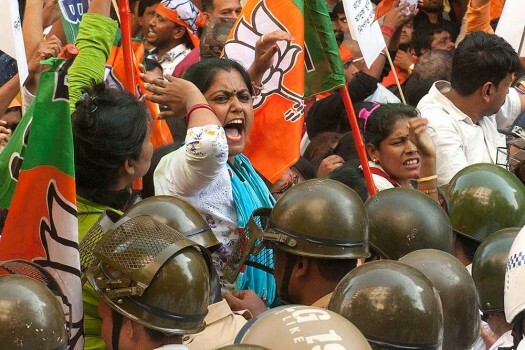 Delhi BJP workers grapple with police as they protest near Delhi Assembly against corruption in Delhi government. 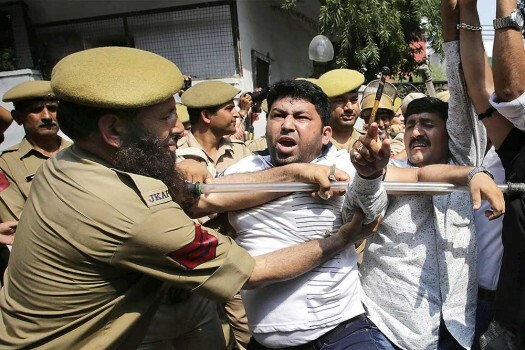 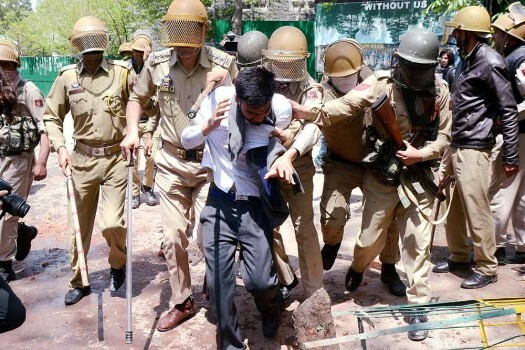 Police stop Jan Adhikar Party activists during their Vidhan Sabha march outside Bihar assembly, in Patna. 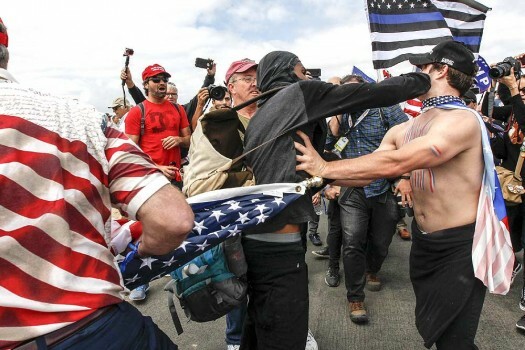 Supporters of President Donald Trump scuffle with counter-protesters during a rally, in Huntington Beach, California.